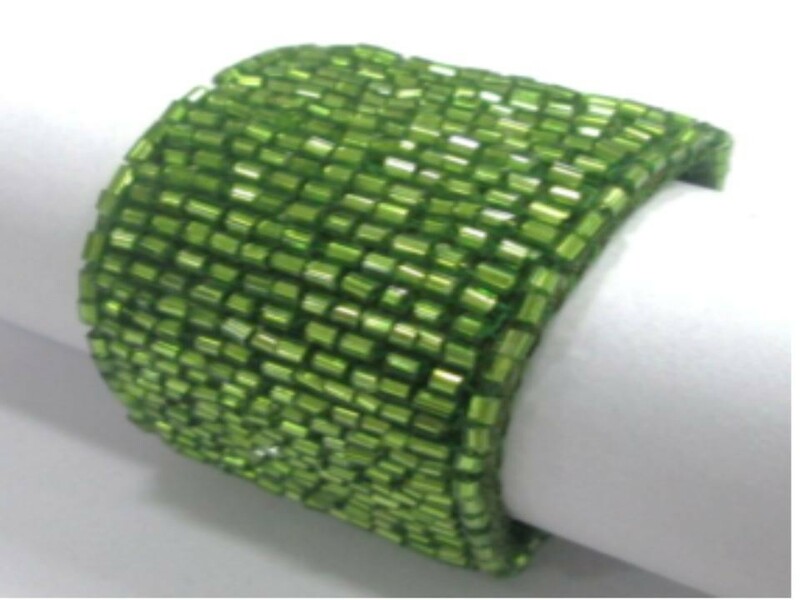 Green colored Tubular Beaded napkin rings size-3.5 x 1 x 6 cm Fresh and colorful napkin rings that would compliment just about any Christmas dinner party! These napkin rings would set the mood on the dining table. Artisans living on the outskirts have handcrafted these napkin holders using fine resin beads. The cheerful bold color adds to the holiday festive mood.